Welcome to the British Longevity Society (BLS), a non-profit society founded in 1992 created for people who want to live a longer, healthier life. The constitution of the BLS is the aim to; “further public education on issues connected with the means for counteracting the processes, causes and effects of ageing.” The BLS is independent of commercial interests and is not accountable to any profit-making industrial/commercial organization. 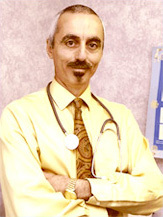 Its medical advisor to the BLS is Dr. Marios Kyriazis MD, MSc (Gerontology), Diploma in Geriatric Medicine (Royal College of Physicians), MIBiol, CBiol. Nature has given us the ability to live a healthy and productive life until the age of 120 years, but very few people reach this age in good health, mainly because their lifestyle increases the chances of early ageing and disease. However, it is possible to reduce our chances of disability in later life by making some sensible changes to our way of living. The BLS highlights the advances in antiageing medicine to help prevent diseases and disorders to improve everyone’s optimal health span. Learn how you and your family can benefit from FREE membership of the BLS to discover the future of preventative medicine and learn how advances in the understanding of biochemistry can be applied today to allay, alleviate, slow or reverse diseases and disorders associated with ageing. Are you interested in meeting with likeminded people and listening to the health professionals who are making a real difference to health and wellness today? To see a list of the present, future and previous meetings, speakers and topics please click here.. If you are a BLS member you will learn about all these meetings in advance. Why not join today? Membership is FREE! The British Longevity Society is entirely dependent upon public support to continue its mission of educating society about the emerging technologies and research pointing the way to healthier longer lives. If you would like to support the BLS there is a number of ways you can get involved, from attending the meetings, becoming a member or just making a straight donation through PayPal. If you are a company or professional and wish to support the BLS’s work there are also packages available with greater benefits. See details of all the packages and make your donation here. Please support the BLS; help us keep getting the message out about innovative evidence based health factors that are not known in mainstream medicine, also find the types of products and protocols we are highlighting at these leading organisations. You'll get 10 email newsletters a year from us.